Changó is one of the most common head orishas in Santería Lucumí. He is the king of our religion and his presence is found in every ceremony in Santeria. There seems to be a growing trend of people wanting to learn who their orisha is and how they can work with that orisha. In this article we’ll address some of the misconceptions around the guardian orisha, clarify how a person’s tutelary orisha is determined, and why you should or shouldn’t know who it is. A person’s tutelary orisha (also called a head orisha, guardian orisha or guardian angel) is the orisha that claims a person’s head. They are your patron or matron and act as a guardian and balancing force in a person’s life. A person’s head orisha is not a matter of choice or preference; the tutelary orisha is linked to a person’s destiny. The head orisha is the right divine current of spiritual energy that person needs for his or her life to be balanced so his or her ultimate destiny can be attained. Not All Orishas Are Equal! Aggayu is crowned through a ceremony called “Changó oro Aggayu“. 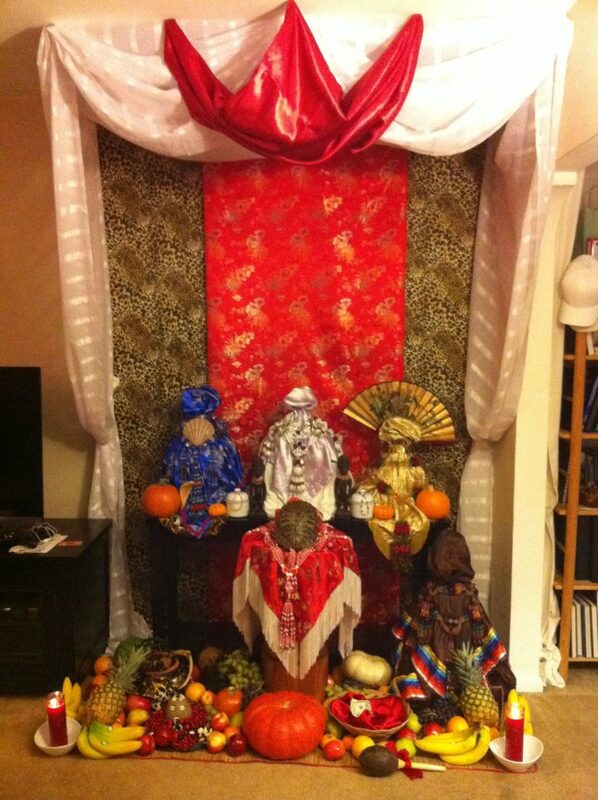 Here is our Aggayú shrine at our Church. These are the list of tutelary orishas within Lukumí practice that are done directly to a person’s head. In addition to these there are other orishas that are crowned through a ritual adjustment called “oro”. These are also legitimate and traditional initiations with a procedural adjustment. In other African Diasporic religions (Candomblé, Ifa, etc.) there are additional orishas crowned beyond those mentioned above. These orishas include Logun Ede, Oshumare, Orisha Oko (direct) and even Olokun. These are legitimate initiations in those religions but are not a traditional part of Santeria Lukumí. There is even a modern trend to begin initiating people to these orishas in Lukumí practice but this is highly unconventional and non-traditional. Who Is My Head Orisha? 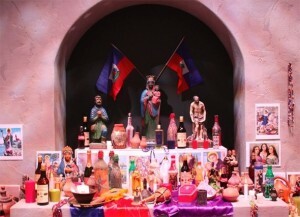 With the growing awareness of Santeria, people find themselves infatuated with the orishas. There is a growing phenomenon of people wanting to know who their orisha is, along with a desire to worship and work with that orisha directly. Unfortunately many people treat this information like a parlor game, trying to guess who a person’s tutelary orisha is prior to divination. There are even espiritistas (spiritualists) who will declare a person’s tutelary orisha in a spiritual mass (misa), or use tarot cards to determine who their orisha is. 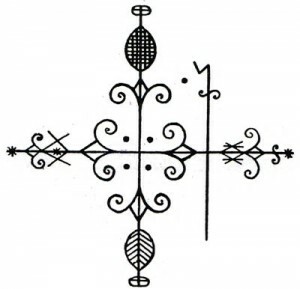 I recently saw an article in a well-known New Orleans Voodoo publication telling people to perform a shamanic journey to determine who their tutelary orisha is. These are not legitimate practices and are not only fraudulent but can be incredibly harmful to a person’s development. So how does a person find out who their tutelary orisha is? Simple. You aren’t supposed to know until you are already preparing for kariocha (ordination as a priest). As far as all should be concerned you are under the tutelage and protection of Obatala. Obatala is the owner of all heads – he fashioned our bodies and minds. He is the “head” of the orishas and as such protects and guides all people with fairness and equality. 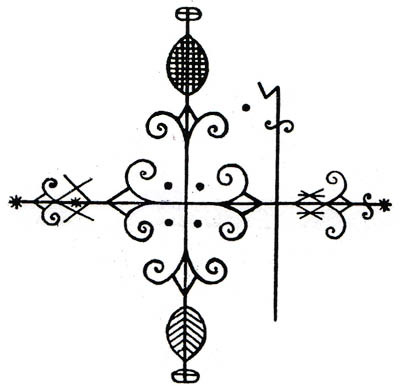 If you want to know who to worship and who to work with, it’s Obatala … until it is time for you to find out who your guardian orisha really is. The guardian orisha can change before a person is ordained in kariocha and there is no point in knowing until the arrangements are already being made for kariocha. 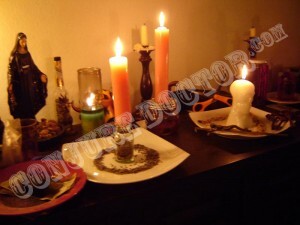 Additionally, a person may be told they are a child of one orisha and they dedicate all of their energy and efforts to bond with that orisha only to find out at the last minute that it has changed and this imbalance in the relationship with the orishas will be reflected negatively in that person’s life reading (itá). As an Aleyo or Aborisha your job is to learn about all the orishas and learn discipline, obedience and humbleness while apprenticing at your godparent’s side. You should not be focusing on one orisha. You should be working on your own self, overcoming your weaknesses and building a relationship with your ancestors long before kariocha. Knowing a person’s guardian orisha is putting the cart before the horse. When is the Right Time to Determine a Person’s Guardian Orisha? Ifá-centric houses will defer to the Babalawos in their godfamily to determine a person’s orisha. There are two times when you can find out who your guardian orisha is. For houses that are Ocha-centric and do not work with Babalawos, this would be the moment you are marked for kariocha. This would happen in a divination where it is determined that you must be crowned a priest. Once this happens, that person should begin making preparations for kariocha – primarily saving money for the ceremony. Once you are close to having all the money in place a cowrie shell divination should be performed to find out who that person’s tutelary or guardian orisha is. That way the godparents know whether they can crown that person (barring any taboos to the contrary) and they can begin to purchase the rights supplies and make the proper arrangements. For example, the initiation for Elegguá costs a lot more than that of Yemaya, so the proper arrangements have to be made according to which orisha that person will receive on their crown. 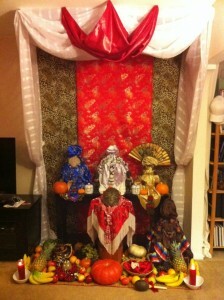 For Ifa-centric houses, the divination of a person’s crowning orisha is reserved for Babalawos. This is typically done when a person received their Hand of Orunla (Awofakán or Ikofá). At this ceremony, the initiate is given the mysteries of Orunla (Orunmila), the bracelet of Ifá (idé Ifá) and they are told who their tutelary orisha is. If the person has not received their hand of Orunla, this can be done through a divination with Ikin (palm nuts) prior to the initiation. There have even been instances where one orisha stood up to claim a person’s head moments prior to initiation, or even in the ceremony itself. 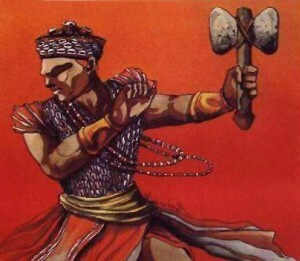 This often happens when a person’s tutelary orisha is determined way in advance – years before the ceremony – and at the last minute a different orisha possesses that person and claims their head. This is yet another reason why it is best to wait up until the last possible moment to determine the guardian orisha so that there are no dramatic changes that have to be made in the ceremony. There are two (maybe three) ways a person’s tutelary or guardian orisha is determined. The first two are through divination. The third is through direct possession, but even this must be confirmed with divination. Ocha-centric houses will use the diloggún of Eleggua or of the godparent’s crowning orisha to divine a person’s head orisha. For Ocha-centric houses, the proper way to determine a person’s tutelary orisha is in a ceremony known as a bajada (bringing down) of the guardian orisha. This is usually done by an Obá Oriaté but any sufficiently skilled olorisha that has firm knowledge of odu can perform the ceremony. This is done using the cowrie shells (diloggún) of Elegguá or of the godparent’s tutelary orisha. The divination is performed on a grass mat wrapped in a white sheet that is placed on the ground. The diviner is seated on the ground and the person being consulted is seated on a small stool on the covered mat within reach of the diviner. In the divination, the client will place his head on the mat while the diviner throws the diloggun to bring his guardian orisha “down to the mat” and determine which owns his head. For Ifá-centric houses, this must be divined using the ikin of Orunmila (palm nuts). Three babalawos must be present for this to be done properly. The babalawos will beat the palm nuts and mark out odu on the table of ifá (opón ifá) and determine which orisha rules that person’s destiny. This ceremony is also perfomed on the floor like the one done in Ocha-centric houses. 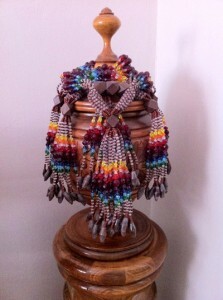 It is unacceptable for this ceremony to be done with the okuelé (diviner’s chain). Typically this ceremony is done as part of a person receiving their Awofakán or Ikofá (hand of Orunla) but it can be done as just a reading if that person hasn’t received the hand of Orunla yet. The third way a person’s tutelary orisha can be determined is directly from an orisha when they are possessing a priest or priestess. This can happen at a drum ceremony or other ceremony. Occasionally orishas will descend onto their priests to speak and interact with others. They can declare a person needs to be initiated and who they should be crowned to. While this is a powerful and moving experience, in this day of people faking possessions it is necessary to confirm what was revealed through divination just for good measure. 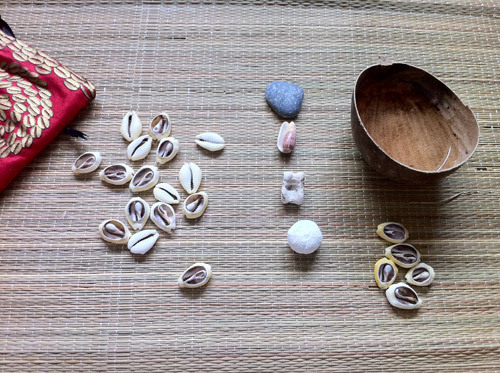 It is important to reiterate that using obí (four cowries, four coconut pieces or four kola nuts) to divine a person’s orisha is not acceptable and is fraudulent practice. Obí is only used for yes or no questions. Obí can be used to open the bajada reading but the sixteen cowrie shells (diloggún) are what speak and deliver the news of that person’s tutelage. There are no other accepted methods aside from those mentioned above to determine a person’s tutelary orisha within Santeria Lukumí. If you were told that you are a child of an orisha through an alternate method just consider that reading as the orisha taking you under his or her protection, but until the proper method is used, you are NOT confirmed to be a child of that orisha. Dietary taboos keep those foods sacred so that one day they may be used in ebó to save you. Within the religion of Santería Lucumi/Lukumí, there is a ritualized practice of taboo. Taboos, called ewo in Lucumi, are restrictions placed upon a person’s behavior, diet or lifestyle according to religious doctrines. Taboos play a critical role in the practice of Santería but the reasons for them are often misunderstood. Some mistakenly think of taboos as a difficult penance or sacrifice a person makes in their life because they are afraid of divine punishment from the orishas. This is very far from the truth. Ewo is something dictated through divination for the benefit of the practitioner himself. In Santeria the most common form of taboo is a dietary ewo. These indicate that certain kinds of foods are off-limits. 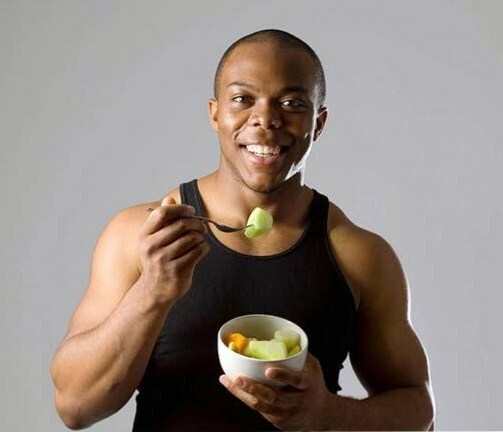 Typical examples include taboos against eating eggs, ram meat, red beans, reheated foods or pumpkin. There are countless other examples. Some of these are done for hygienic reasons like the reheating of foods. Other taboos are prescribed to prevent problems with food being laced with items, like a taboo against drinking dark drinks (in which powders or poisons can be hidden). But the most common reason for prescribing a food taboo is for that person’s spiritual salvation through ebó (ritual or sacrifice). Red beans are an example of a dietary taboo (ewo). 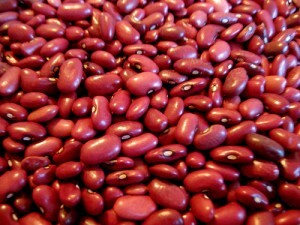 They are commonly used in spiritual cleansing to keep off disease. The practice of ewo (taboo) is born in the odu Ejioko (2) from our divination systems. Ejioko taught humanity how to avoid premature and untimely death. He showed us how to use ewo (taboos) as a way of making something sacred. By abstaining from certain foods or items, we give them ritual importance and power. One day, the power we’ve given those very items will come to our aid and save us through the power of ebó (sacrifice and ritual). For example, by giving up the consumption of ram meat, one day when you need it most, the sacrifice of a ram to a particular orisha will be the very ebó (ritual) that saves you from ikú (death). The same goes for the other foods you have taboos against. This is the true spiritual significance of ewo and why it is so powerful. There are also behavior taboos. These are usually assigned to keep a person in a state of iré (blessings) and prevent them from falling into osogbo (misfortunes). Each odu in the diloggún indicates a person’s strengths and weaknesses. For example, the odu Ogundá (3) warns about propensity for violence, therefore that person is given a behavioral ewo against keeping weapons in the house, and to avoid being out on the street at night where there can be violence. These ewo exist to keep a person save from harm. Common behavioral taboos include: no alcohol, never raising a hand against someone, no love triangles, never hitting children, never disrespecting elders, and not loitering in groups of three. A taboo is only powerful because that person adheres to it. In the case of food taboos, if a person refuses to follow taboo, that substance can no longer save them when they need to do ebó. Breaking a taboo only hurts the person who is refusing to follow them. They are rendering one of the most powerful tools they have powerless. In the case of behavioral taboos, not following them only draws osogbo (misfortunes) to a person and invites problems in a person’s life. The orishas aren’t going to get angry at you for breaking your taboos, but you are inviting problems into your life by not adhering to them. If you receive ewo (taboos) in a diloggún reading the best thing you can do is stick to them and do your best to follow the behavioral advice that your diviner recommends. This is how we can change a person’s destiny, remove osogbo from their life and restore that person’s balanced state of iré (blessings). If you break a taboo, return to proper behavior and continue to respect it going forward but know that continued breaking of ewo (taboo) will only hurt yourself.